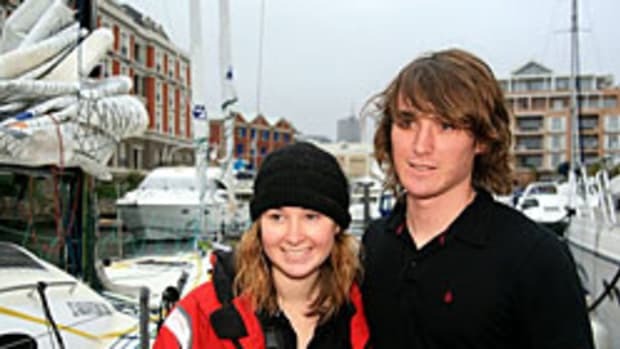 On Nov. 18, 2008, 16-year-old Mike Perham set out to become the youngest person to sail around the world single-handed in his Open 50 racing yacht, TotallyMoney.com. Nine months after setting sail from Portsmouth, England, the now 17-year-old returned home to a hero&apos;s welcome. Click here to read a report in The Guardian. Meanwhile, a Dutch court ordered authorities Friday to take temporary guardianship of a 13-year-old girl, delaying her plan to sail solo around the world until psychologists can assess her capacity to undertake such a risky voyage. Click here to read a report on Yahoo.com.